*This post was sponsored by EEME. All opinions are mine. STEM is the a buzzword in education. Our society is pushing Science, Technology, Engineering, and Mathematics to the forefront. Take a look around our ever-changing, technology driven world and you’ll quickly understand why. I created The Homeschool Scientist because I noticed that while traditional schools and society in general was embracing STEM education, not all homeschool families were. It was not the they didn’t want to. It was because many home educators felt inadequate to teach science to their children, or they were just plain scared of it. That led to the mission of The Homeschool Scientist: to equip and encourage homeschool parents by taking the fear out of and putting the fun into science education. I strive to accomplish this mission by giving you resources that make teaching STEM easy and fun for all involved. On any given day, I might share experiments, lessons, products, curriculum, or encouragement. Hopefully, you can find something that can help you! 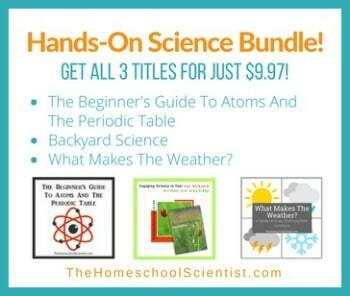 While the basics of science can be taught with traditional curriculum. I have found that more technical STEM subjects like engineering, electronics, and physics need to be hands-on. These disciplines are tough to teach without experience in that area. When my daughter expressed interest in electronics, I became that nervous parent. Electronics is not in my wheel house. It was time to seek outside help. That search led us to one of our best STEM curriculum finds yet. EEME is a company that seeks to make electronics easy and fun for kids to learn about. They do this through hands-on electronics kits and great online video lessons. When you subscribe to their service, you receive a box of supplies once a month to complete a project. These are not quick, slap-it-together, and go about your business projects. Each project has a corresponding, in depth video lesson complete with quizzes and reviews. The lessons are broken up into sections and may take several hours to complete. My kids usually spread their project out over several days. Each new project kit builds on the knowledge they gained in the previous kit. Put all the kits together over the course of a school year and you have an electronics STEM curriculum! Your kids will have a great base knowledge of how electronics work. EEME allows you to see what their lessons and kits are really like. Sign up on their site and gain access to free electronics lessons! This sounds awesome! I’m going to have to look into these programs for my tween. I’m going to pin it too so I don’t forget. YES! Visit the EEME site. You can see the lessons and the kits in action. What age would you think this might be a good introduction? Middle school? My son is 10 and had no problem with EEME kits and videos. EEME even recommends their program starting at age 7 with help from the parents. The videos are broken down in bite-sized chunks and explained in very simple terms.